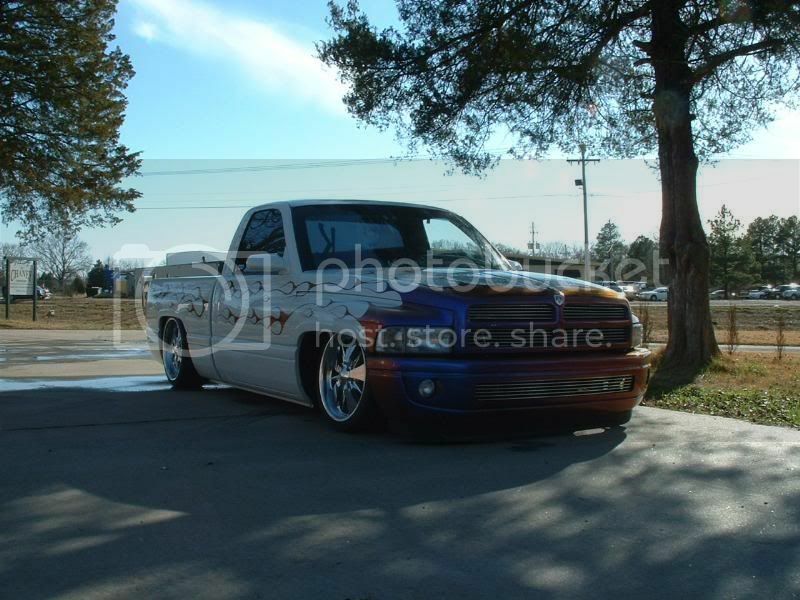 See youguys this is what im talking about that truck is low to the earth, i give you mad props, that thing is sick!!!! Now lets see w ho can beat this. thats nuts....it looks so good it looks photo shopped. Nice Work. But i know it can go lower. oh yeah i just set it up with a basic cantilever in the rear and bags up front with 2 inch drop spindles. the paint is what i focused on as the show stopper. Awesome work. The flames are an attention grabber. 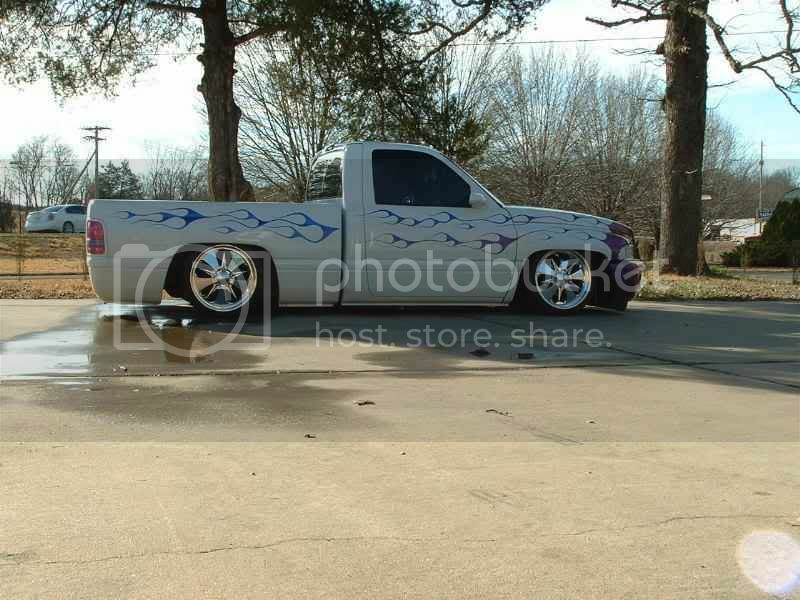 heres mine got the 20s on the rear for a test fit lays rockers. not my wheels a friends for testing. i want panther juice 5 spokes. Thanks, im diggin that 1st gen layin rocker. also just spring for the 20's it will be worth it. It looks like its going to be awesome once it gets out there. That thing is slammin, slamminx!! !